Identity Theft Protection - Learn how to prevent Identity Theft with tips, tools and resources from Identity Theft Security. Identity Theft is the one of the fastest growing white collar crimes of the 21st Century. 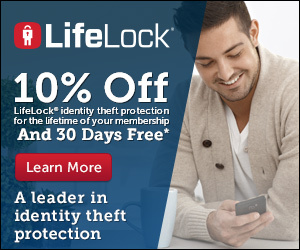 You can no longer afford to ignore identity theft protection. More than half of victims had their current credit cards taken over by criminals. While new account frauds were estimated to have victimized 3.23 million people and to have caused losses of $36.7 billion. The Inspector General of the Social Security Administration, James Huse, Jr., reported last year that identity theft is becoming a national crisis. People who have been victims can spend years and thousands of dollars cleaning up the nightmare that these callous criminals leave behind. It takes the average victim up to a year to realize that their identity has been assumed by another person. Identity theft victims have been known to lose their jobs, be refused loans or even arrested for crimes they didn't commit. It is critical that you learn how to prevent identity theft. What you don't know can hurt you.